It’s no secret: Americans are facing an uphill battle against obesity and being overweight. Numbers of overweight or obese Americans continue to rise, as do the numbers of people diagnosed with diabetes. Many are beginning to place the blame on the increasing amounts of sugar that we are consuming for these problems. Others, however, think that the problem is more complex than that. In light of the rise in the nation’s diabetes rates, Maple Leaf Meds recommends that patients get tested for the disease and monitor their health closely for symptoms. Vancouver, BC April 13, 2011 – A recent article in the Lancet Oncology by a panel of cancer experts concluded that women in the higher risk categories for breast cancer could benefit from drugs such as tamoxifen as a preventative treatment. This international group of cancer specialists estimates that around 10% of women considered at risk for breast cancer would benefit. The statistics stack up against us: in 2007, it was estimated that 74.1% of Americans were overweight or obese. Not only that, but incidences of diabetes are also on the rise. It is estimated that 26 million Americans, over 8% of the nation’s population, have the disease. Being overweight increases one’s risks for developing diabetes and other health complications, leading to the estimates that the medical costs of obesity were approximately $117 billion in the year 2000. But what’s causing these rising numbers? Is it sugar? 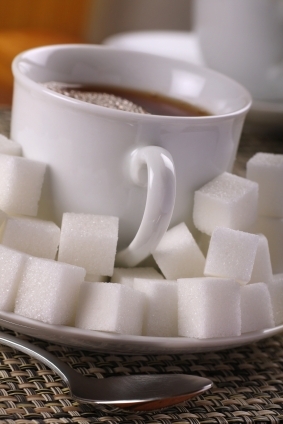 Some say yes and there is no doubt that US sugar consumption is increasing. Where in 1967, Americans consumed on average 114 pounds of sugar per capita each year, in 2003 it was 142 pounds. However, this data does not point to the fact that the way we eat sugar has changed significantly over this period. We have gone from consuming the majority of our sugar in home-cooked meals as raw or refined sugar, to eating it out of a package in the form of high-fructose corn syrup. High-fructose corn syrup was developed over 30 years ago, and is now added to everything from soda to salad dressing. In fact, it is number one food additive in packaged and processed foods. It is estimated that Americans consume 61 pounds of high-fructose corn syrup each year. So while it is true that sugar consumption is up in the US, perhaps it is more the type of sugar, and the way in which we are eating it, that is causing the huge increases in overweight, obese people and in diabetic populations. Some have pointed out it could also be our relationships to food and to each other, that are leading to the increase in an unhealthy population in the US. Whatever the cause, it is clear that diabetes is a significant concern. Type 2 diabetes, (diabetes developed after the age of 40) must be treated using medications such as Diabeta, which is available here at Maple Leaf Meds, a certified online Canadian Pharmacy. However, many people are unaware that they are at risk for diabetes, or have contracted the disease. In fact, 79 million Americans are considered pre-diabetic, and approximately 7 million with the disease that remain undiagnosed. Maple Leaf Meds recommends that patients get tested for diabetes, particularly if they begin to develop symptoms of the disease including blurred sight, numbness in hands and feet, and slow healing of wounds.